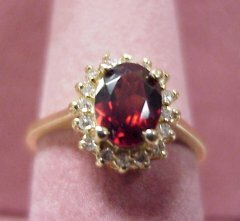 0.75CT Garnet (6 x 9mm) in 18K gold! 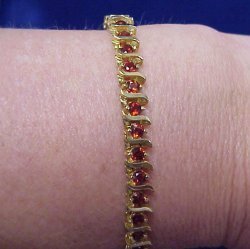 7.0CT TW Topaz tennis bracelet fashioned in 14K gold "S" style link. Always in style. 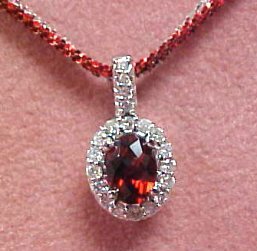 Fiery red 1.0 carat garnet set with 20 round brilliant diamonds (0.23 ctw) in 14k white gold. We matched it with the latest style in red and white 14k gold chains. 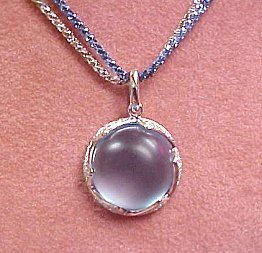 The chain can be adjusted from 16 to 18 inches long. 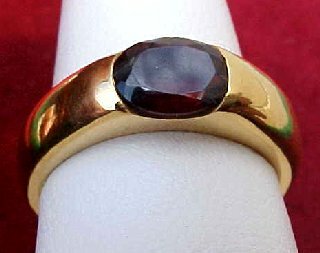 8 X 6mm Garnet and Diamond ring set in 14K gold. 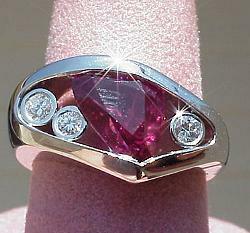 This ring has great color and fire. 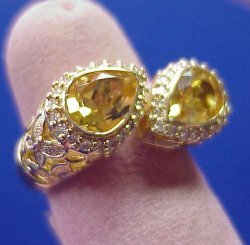 Check out the superb detail in this Citrine and Diamond ring. 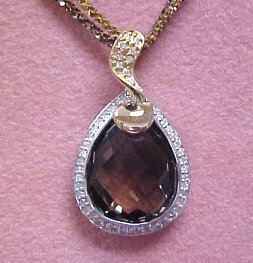 Two pear cut Citrine for a total weight of 4.80CT and surrounded by 40 round brilliant diamonds of G color, SI Clarity. Fashioned in 14K gold. Superb quality and extraordinary detail. 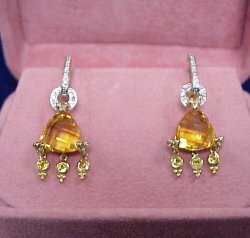 Checkerboard cut, fancy Citrine earrings (3.40CT TW) with 40 round brilliant diamonds (1/5CT TW), set in these fantastic 14K gold chandelier fashion style mountings. 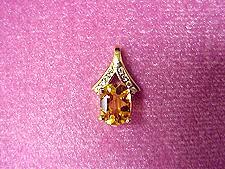 6.47CT oval cut gem quality Citrine pendant with 0.12CT round brilliant cut diamond, set in 14K gold! 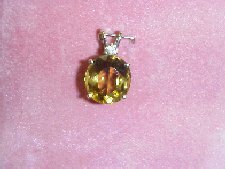 1.0CT Citrine pendant with 0.09CT TW round brilliant cut diamonds of G Color, SI1 Clarity, set in 14K gold!